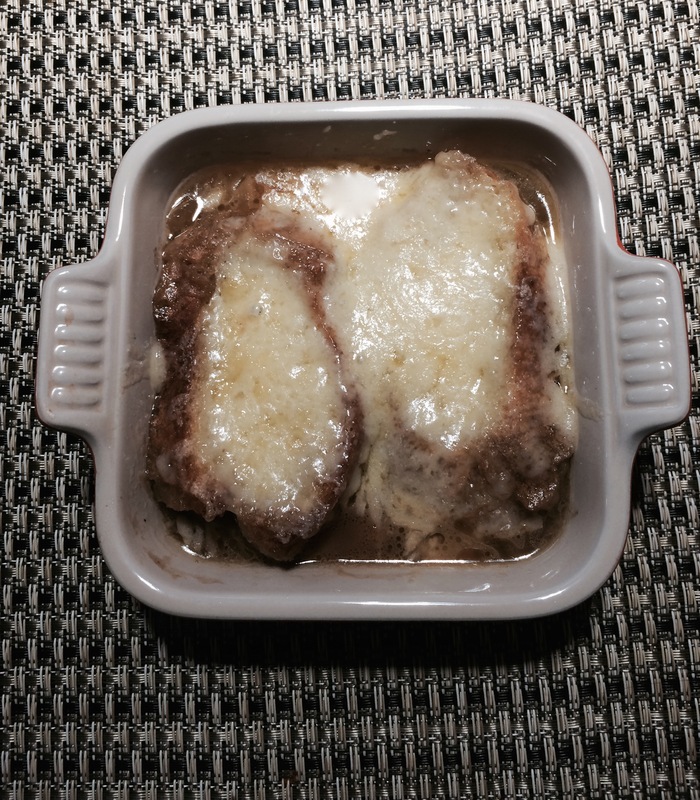 Nothing like a hot and dense bowl of French onion soup to refresh you on a 105 degree day!!!!!! Despite the temperature, I’ve still wanted to make this lately, but my parents refused, wanting a cold soup instead. But here’s the deal: cold soups ARE NOT GOOD. So they went out to dinner and I made this steaming bowl of soup for my sister and I and dammit, we liked it. It’s not the prettiest soup but it certainly was one of the most delicious ones I’ve ever made. Ina’s (very boozy) recipe, naturally. I sure am going to miss my parents’ cabinet of fancy liquors when I go back to school because she uses cognac in like 40 percent of her dishes.